A woman was able to break free and flee to safety Tuesday after a man confronted her in a public restroom at an Old Town hotel, grabbed her and threatened her with a pistol, authorities reported. 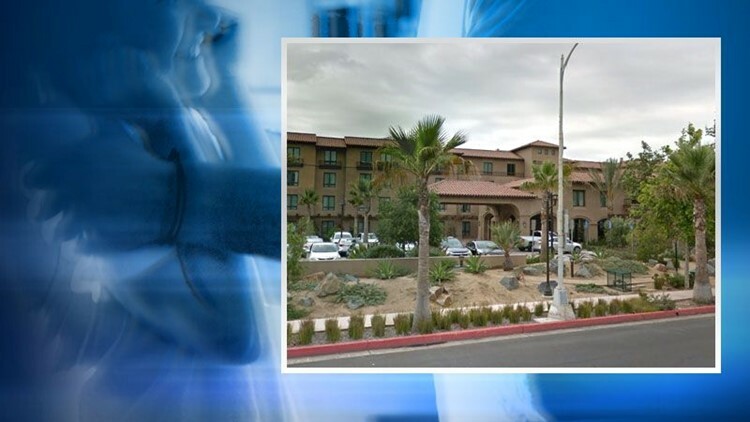 SAN DIEGO (CNS) - A woman was able to break free and flee to safety Tuesday after a man confronted her in a public restroom at an Old Town hotel, grabbed her and threatened her with a pistol, authorities reported. The assault at the Hilton Garden Inn, 4200 Taylor St., was reported about 1 p.m., according to San Diego police. The victim was able to break free from the unidentified assailant, run to the lobby of the hotel and summon help, Lt. Brent Williams said. She reported no injuries. She described the perpetrator as a clean-shaven, roughly 5-foot-9-inch black man in his 20s with short hair. He was wearing tan pants and a long-sleeve gray shirt, and carrying a light-colored backpack, the victim told investigators. The assailant remained at large in the late afternoon, the lieutenant said.